Adams Jones Law Firm, P.A. provides high-quality legal services focused on reaching positive results and client satisfaction. We concentrate in the areas of real estate, business and employment, litigation, and estates. Our attorneys work with each client to identify objectives, then diligently pursue those goals in a cost-effective, timely manner. 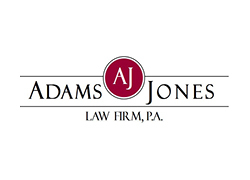 Adams Jones attorneys have diverse areas of experience allowing us to draw on the strengths of various individuals in the firm when confronting our clients’ complex legal problems. Adams Jones has built a highly-regarded reputation among its clients, peers and the courts of hard work, expertise, professionalism and integrity. BKD serves approximately 2,300 real estate investors, developers, brokers, agencies and property associations; helping them with capital requirements, cyber-attacks, maintaining financial strength and profitability, and more. Take a closer look at how BKD can help your organization at www.bkd.com. Commerce Bank, is a subsidiary of Commerce Bancshares, Inc. (NASDAQ: CBSH), a $24.7 billion regional bank holding company, as of September 30, 2016. For more than 150 years, Commerce has been meeting the financial services needs of individuals and businesses. Commerce provides a full range of financial products to consumer and commercial customers, including personal banking, lending, mortgage banking, wealth management, brokerage and capital markets services. Commerce operates in more than 340 locations in the central United States and has a nationwide presence in the commercial payments industry. Commerce Bancshares also has operating subsidiaries involved in leasing, credit-related insurance and private equity activities. 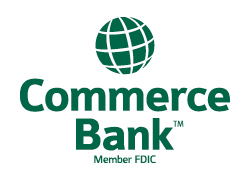 For additional information, please visit www.commercebank.com. Emprise Bank is a family-owned, purpose-driven financial institution empowering people to thrive in more than 20 Kansas communities. Based in Wichita, Kansas, Emprise Bank is FDIC insured with total assets exceeding $1.7 billion. Learn more at www.emprisebank.com. 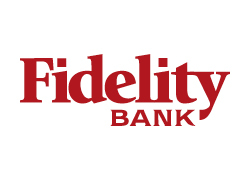 Fidelity Bank is a fourth-generation family-owned financial institution based in Wichita, Kansas. As a local commercial banking leader, Fidelity specializes in commercial real estate lending. Fidelity Bank has 400 employees and more than $1.9 billion in assets across 21 offices in the Wichita, Oklahoma City and Kansas City metro areas. Visit fidelitybank.com for more information. HJH Investments focuses on delivering a superior investment experience. It is their mission to help investors understand, acquire, manage and market Commercial Real Estate. HJH constantly searches for properties that offer the best value to their clients in Wichita and throughout the United States. Their team is skilled in finding and acquiring Credit Tenant, NN and NNN leased properties. They offer a full range of investment services, including setting up financing and managing the asset after it is acquired. Insurance Center, Inc. (ICI) is a locally owned, independent insurance agency. Headquartered in El Dorado, with locations in Wichita, Derby, Augusta, Emporia, and Garden City, ICI offers a wide variety of property & casualty insurance for businesses, employee benefits, and personal insurance for individual clients. ICI has relationships with over 50 insurance carriers, and is licensed in over 40 states. Some of our niche industries include construction, manufacturing, trucking, senior living, real estate and oil & gas. ICI also offers workplace safety training to companies looking to reduce their workers’ compensation claims, and improve their safety culture. 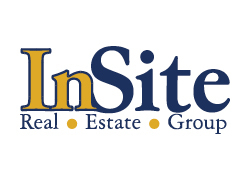 Insite Real Estate Group is a full service commercial real estate brokerage and development firm based in Wichita, Kansas, that was formed in January of 1999 to provide comprehensive services to clients in the fields of office, retail, industrial, land, and investment real estate. InSite provides focused, value-added services with the intention of developing strategic relationships with select clients. Our objective is to maintain a small shop, which is flexible enough to quickly adapt to the unique needs of each client. In pursuit of this objective, we have developed strategic relationships with experts in the fields of architecture, construction, engineering, law, and finance. We work with investors looking to purchase existing income properties or to develop properties. INTRUST is the largest independent bank headquartered in Kansas, with nearly $5 billion in assets and 46 locations in Kansas, Oklahoma and Northwest Arkansas. We provide our customers comprehensive financial solutions in banking, lending and wealth management. We continue to embrace our tradition of building trusted relationships by striving to understand the needs of our customers and our communities. 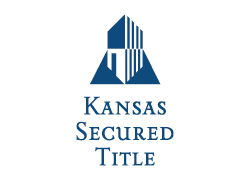 Kansas Secured Title has been providing the most timely and comprehensive Title and Closing Services since 1927. It has, and continues to be one of Kansas premier providers of Title and Closing services. Whether our customers are buying or selling real estate, they can rely on Kansas Secured Title to make certain the title is sound and the closing runs smoothly. 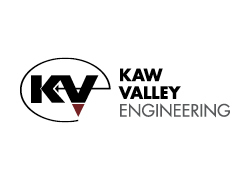 In 1982, the founders of Kaw Valley Engineering set out to build a firm that could provide a full range of consulting engineering services. For more than 30 years, our success has been evident as more than 100 employees in six offices continue to provide civil engineering, survey, geotechnical engineering, and construction phase testing and observation services throughout the Midwest. We believe offering a full-range of services will benefit you. As anyone familiar with the design and construction process knows, coordination with multiple disciplines is just as intertwined as the components in the project itself. The disciplines overlap and questions arise – this is when our multi-faceted firm, with expertise in many fields, will be a great benefit to you. We will access knowledge in many fields of expertise to find a feasible solution to your design and construction needs. Founded in 1928, Luminous Neon partners with commercial development professionals to offer a full range of signage solutions including design, fabrication, permitting, installation, service and repair. As the largest on-premise sign provider in Kansas, the company operates branch locations across the state to stay close to its projects. 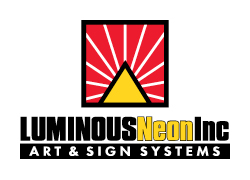 With 80 sign professionals offering 1,200+ years of combined sign industry experience, Luminous Neon is the region’s most accomplished sign company. For more information, visit luminousneon.com or call 620-662-2363. 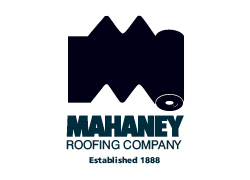 The Mahaney Roofing Company was established in 1888 by Charles E. Mahaney in Wichita, KS, making it one of the oldest commercial roofing companies in the state. Mahaney Roofing is a licensed applicator of built-up roofing, modified bitumen, single-ply, and sheet metal roofing systems. We establish trust by providing the highest quality roof systems in the industry. Each project is completed with organized planning, and by following the highest safety standards. Our commercial roofing company creates a work environment that promotes safety, advancement, training, opportunity, and accountability for all of our employees. 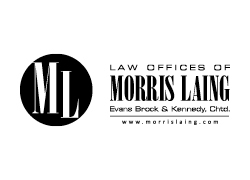 Established in 1945, Law Offices of Morris Laing is a full-service law firm practicing in over 35 areas of law, including real estate law, trust and estate law, transactional litigation, financial services litigation and employment law for both businesses and individuals, just to name a few. The knowledge, skills and experience of our individual attorneys, combined with their ability to perform as a team, ensure that each Morris Laing client is served with the utmost proficiency. Despite the larger size and depth of the firm, Law Offices of Morris Laing provides services at rates unmatched by other firms of its caliber, helping to create unwavering client relationships for over 70 years. For more information, visit www.MorrisLaing.com. Established in 1985, Spangenberg Phillips Tice Architecture is a full-service architecture, interior architecture and landscape design firm. Our extensive experience includes civic, corporate office, education, entertainment, financial, healthcare, hospitality, industrial, multi-family residential, real estate development, recreation, religious, retail, senior living and custom single-family residential projects. 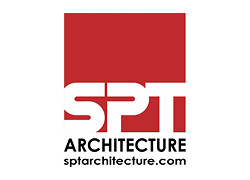 Spangenberg Phillips Tice Architecture is mid-sized by design, facilitating cost-effective design services without sacrificing creativity, aesthetic appeal or innovation. Our services are customized to each client’s unique design program and facility needs to ensure successful project completion and total client satisfaction. 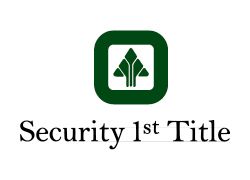 Security 1st Title is the leading provider of title insurance, abstract products, closing services, and 1031 Exchanges in Kansas. Our local, experienced staff delivers exceptional service to protect property rights of homeowners and lenders. As an ALTA Best Practices title agency, we further our commitment to doing the right thing. You can be assured that when you do business with Security 1st Title, our experienced staff, secure data centers and advanced technology solutions will provide you with the highest level of professional service available in the title insurance industry. 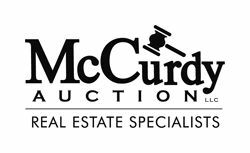 Residential and Commercial Transactions, Purchases and Refinances, New Construction, Foreclosure, Short Sales, HUD, Escrow Contract Servicing, 1031 Exchanges. Southwest National Bank, a full service, community bank, has been serving the citizens of Wichita and the surrounding area with quality financial services since 1915 both personal and business. 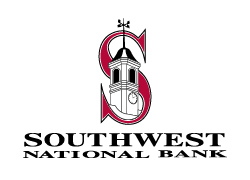 Southwest National Bank has always been locally owned and managed and has a long tradition of providing excellent customer service. The Wichita Business Journal is the No. 1 source in Wichita for business news and information. We invite you to follow us on social media and engage with the Wichita Business Journal’s products. Use the Weekly Edition, Afternoon and Morning Edition email newsletters, website, social media channels and events and awards programs to gather all the information, insights and connections you need to succeed in business. In addition, catch our business reports each morning on Good Morning Kansas on KAKE TV, and on the Steve and Ted show on KNSS. 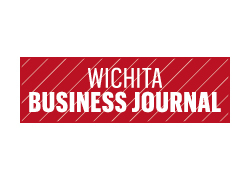 The Wichita Business Journal will help you grow your business, advance your career and simplify your life.